Jordan is the Content Marketing Manager and Chief Star Wars Expert at Guidebook - a company that doesn’t think it should be difficult or expensive to create elegant, functional mobile guides to events and physical locations. Find more event planning wisdom at guidebook.com/mobile-guides. You guys – 2014 is literally almost done. And 2015 is going to be nuts (how can the world handle a new Star Wars and a new Avengers in the same year!?). As the days continue to slip by, so do our old, tired ways of doing things. Get a head start on the new year and re-invigorate your event planning expertise with some new perspectives on these age-old sticking points for #eventprofs. PR is hard to measure, includes a ton of work on your part up front, and really only seems accessible for well-established events. And most of us can’t afford a PR agent, much less the time to go pitch a bunch of media sources ourselves. 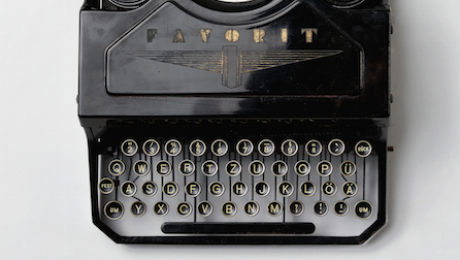 It might be worth your time to pitch traditional media sources. If you land the right source, it could pay off big time for your event. But what if you took your traditional pitch and started hurling it at a whole new crowd? I’m talking about influencers and tastemakers. Influencers and tastemakers are folks that have a voice in your industry. It could certainly be a prominent blogger – but they may also be people who have a large Twitter following, run a big LinkedIn group or be that one guy or gal that is always at your industry’s events with his or her posse. So try working up a personable pitch where you invite an industry “cool kid.” They might just end up bringing their posse and recommending you to the world! You’ve got a sponsorship list that’s out-of-date, pretty confusing when it comes to options and has a million choices for sponsors to choose from. And none of them are biting. This is the year to restructure your sponsorship packages. Sponsors are looking for innovative ways to reach audiences and you are in a perfect position to give that to them. Wrap up audience touchpoints and sponsorship elements into fun packages that will appeal to sponsors and audiences alike. Give foodies the opportunity to win people via attendees’ stomachs with a food-themed package. Tech-savvy sponsors can reach the masses with a package that includes banners in your mobile app, a spot on the interactive wall and conspicuous branding of the mobile charging station. It’s also time to start making use of that data you’ve aggregated from your event tech tools. Give sponsors an idea of how many people they’ll be reaching, what their interests are and how often past attendees are interacting with sponsors – you’ll find sponsors will be a lot more likely to take the bait. You look at your Twitter feed and you’re lost. Why did you follow that guy again? Is he important? What was the name of that good event planning blog you looked at that one time? Well first of all, you can take a look at Guidebook’s round-up of the web’s best event planning blogs. 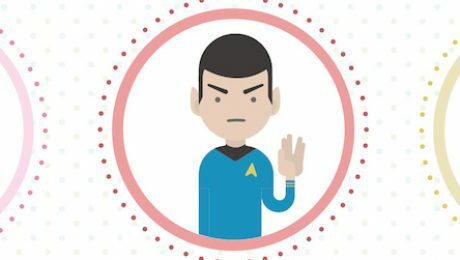 We put together what we believe is a pretty great list of some of the internet’s event planning crème de la crème (techsytalk included). Of particular interest might be eventpros.co. This tool actually curates the most popular posts bearing the eventprofs hashtag so that you don’t have to filter through mountains of retweets and spambots. Also, you’ll find a link to Grass Shack Events and Media’s event planning podcast. If you’re like us – you’re kind of podcast crazy. I’m no longer physically able to commute without listening to a podcast. Grass Shack is currently sporting a number of episodes featuring IMEX influencers (maybe a good place to start your search for non-traditional PR outlets). Have fun doing things the new way! We know. Your event budget is about as tight as it gets and there isn’t much room for wiggling. But you also want to run super-awesome events that are sporting the latest and greatest event tech. We feel the pain of the event professional’s dilemma, so we made it our goal to find out just what event planners were spending their money on and how an event app fits into it all. 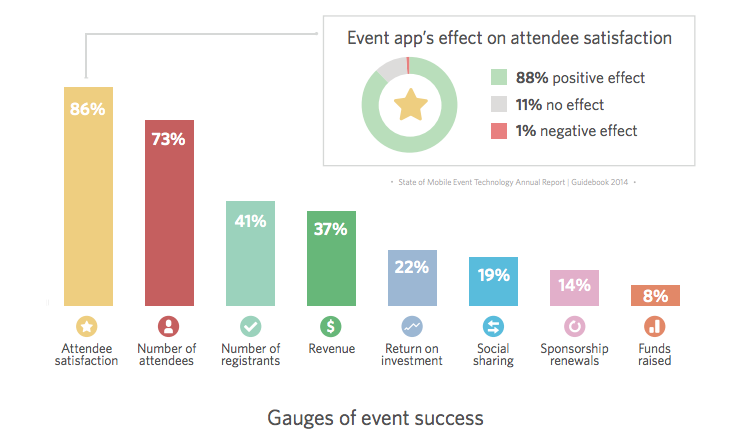 The #1 most important success metric for event planners – attendee satisfaction – is also the #1 value event apps deliver. Of respondents to whom the question applied, 91% said that their adoption of mobile event apps has produced a positive return on investment. Cutting back on printing and shipping is the best way to ‘go green’. 70% of respondents said it’s important for their organization to go green. 82% of those said the #1 way to go green is by reducing printing and shipping. More than half of respondents–53%–reported that they feel they are not doing enough to promote their event apps, suggesting a need for education and resources to make it easier. Planners are worried that their competitors have an edge with budget (28%) and access to new tech (28%). Their most-cited overall challenges are budget (45%) followed by staff concerns (9%). We love to see that mobile event tech is truly changing the industry and driving satisfaction and ROI. What has been your experience with budgeting for and using mobile at your events? You can see more great insights in our annual report. Also, learn more about what real event planners like yourself are saying about event costs. Event tech tools are everywhere. You can’t escape them, your attendees are asking for them, you’ve already signed contracts for them. So now the real test comes – how do you make it all count? At Guidebook we’ve developed our own super-easy-to-use event tech tool, and in the process we’ve learned a few things about getting maximum value out of the tech you’re using. Social media doesn’t have to be a drag. Sometimes because it’s free it feels like that thing we know we have to do but don’t have the time or energy to maximize. But here’s social media’s best kept secret: it doesn’t have to be difficult or time consuming. People have followed your networks because they want to connect with you, so start thinking of social media as a conversation with your attendees and it all begins to fall into place. People get super hung up on creating the perfect social media post. Google “perfect social media post” right now and I guarantee you’ll end up with a whole page of infographics claiming to have the perfect recipe that will suddenly increase your engagement by 1000% and cause your followers to crown you king of the world. But the beauty of social media is that it’s fleeting – it’s of the moment – so don’t spend too much time in an existential battle with yourself over what to post. Be spontaneous. Experience your event with your attendees. You’ll be surprised how much it pays off. This isn’t to say that you shouldn’t insert a bit of strategy into your social media. Above all – we’re begging you – please choose an event hashtag and promote it before your event. It’s the best way to (a) start a conversation and (b) keep it all in one place. Your life will be easier because you can track the constantly changing sentiment surrounding your event, and your attendees lives will be easier because they won’t be missing out on any fun. Don’t leave the event hashtag up to your attendees or they may choose it for you – and you might not like the result. LTE networks and wireless arrays and beacons, oh my! As our events’ dependency on tech becomes greater, our event infrastructures become more complicated. 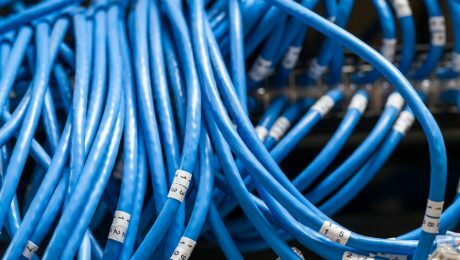 It’s totally understandable if you’re waking up in a cold sweat over the network imploding at your next event – you’re not alone. With nearly every mission-critical piece of your event relying on an internet connection, it’s safe to say that this is a major concern. We know. You feel helpless. You feel alone. You feel at the mercy of your venue’s concrete walls. But the reality is that you can actually make the most of your venue’s infrastructure as well – by arming yourself with knowledge. First off, know the questions to ask of your venue. Second, don’t ask them of the venue sales person. Ask to speak with their IT manager. The IT manager isn’t quite so invested in booking you and is more likely to have straight answers to your questions. Third, write accountability into your contract. Attach a financial penalty for the venue if the internet goes down and impedes business at your event. You’ll be informed and protected – and you might just notice the venue supplying a network engineer during your event to make sure things run smoothly. SurveyMonkey found that 40% of people think organizations pay only a moderate amount of attention to their feedback. Now whether or not that’s true, we know as organizers that feedback is critical to improving an event and keeping people coming back year after year. If you’ve loaded up your survey into your mobile event app or a service like SurveyMonkey, make sure that it’s primed for success. A poor survey will only pump out useless results. Think like your attendees when crafting your questions – short and simple works best. Make it easy to complete on a mobile device. And test it out on a small audience first to see how it goes. Sometimes you’ve stared at it just too long and can’t look at it objectively. A user-friendly survey is the key to a productive survey. Event tech doesn’t have to weigh you down. It’s there to make things easier and more productive – you just have to know how to make the most out of it. Focus on the essence of each tool and what it’s used for, put in the time to know how to use it well, see things from the perspective of your attendees and you’ll find yourself a lot more relaxed when showtime rolls around. Jordan McArthur is the Content Marketing Manager at Guidebook – a company that doesn’t think it should be difficult or expensive to create elegant, functional mobile guides to events and physical locations. Find more event planning wisdom at guidebook.com/mobile-guides.